When looking for studio for rent in Dubai emirate, you better keep in mind what are the main characteristics of the targeted studio as Dubai has a lot than you can imagine. With a myriad of towers and residential compounds, there are many studio apartments to search including small and large ones varying in size, location, and orientation. Some studios overlook dazzling sea views, while others look city views. 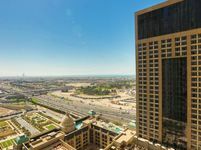 The displayed studio apartments for rent in Dubai come furnished, unfurnished, and also semi furnished. Furnished studios have all needed for a fancy and comfortable living including bedroom settings, appliances like washing machine and TV, in addition to the fancy decor. Semi furnished flats are mostly finished with paints or wallpapers and floorings, they also have kitchen cupboards and bathroom facilities. Most of Dubai studios are attached with a wide set of amenities including swimming pool, sauna, steam bath, fitness gym, and many other. Some studios are located in standalone residential or mixed use towers, while others lie in closed and gated residential communities. Available studios for rent in Dubai are well suited for young professionals and expatriates working in the megacity, they are also very convenient for students doing their studies in Dubai or any other near city. 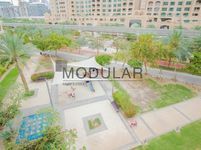 Many of the studios are located in central locations in the heart of the city like Jumeirah Beach Residence, Dubai Marina, and other which make them very accessible from many areas. Central studios are situated in a close proximity to Dubai’s top recreational destinations like Dubai Mall and Mall of Emirates. They are also near the main business hubs in the city. Moreover, the average price of studios in Dubai makes it more convenient for expats. An average studio in Al Awir area would vary in rental price between AED 20,000 and 30,000, while in Al Ras and Naif, it is priced at AED 30,000 and AED 40,000. In the prime areas like Al Nahda and Discovery Gardens, the available studio for rent range from AED 35,000 to AED 45,000. 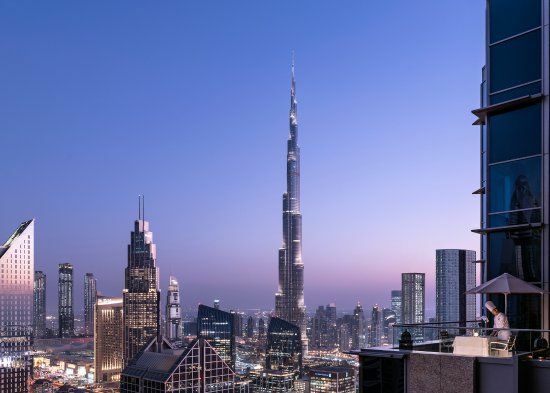 Being a strategic business hub in the Middle East and a significant destination for young expats from Asia, Africa, and Europe, there is a great need in the emirate for studio apartments. They are convenient for bachelors, couples, and even small families. Each district in the city teems with many studios for rent. Many of the young professionals living in Dubai show their preference in studios, especially single ones. Therefore, the city is abound to witness a huge supply of studio apartments in the pipeline to meet the rising demand. 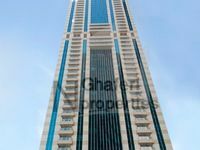 If you are looking for a suitable studio for rent in Dubai, it’s better to check Just Property website since it has a big set of results of all sizes and proportions. Either looking for a studio in the buzzing heart of the city, or a more economic property, you will find a large range of studios to choose from in our list.